Thank you for marching with SOGS in the London Pride Parade! 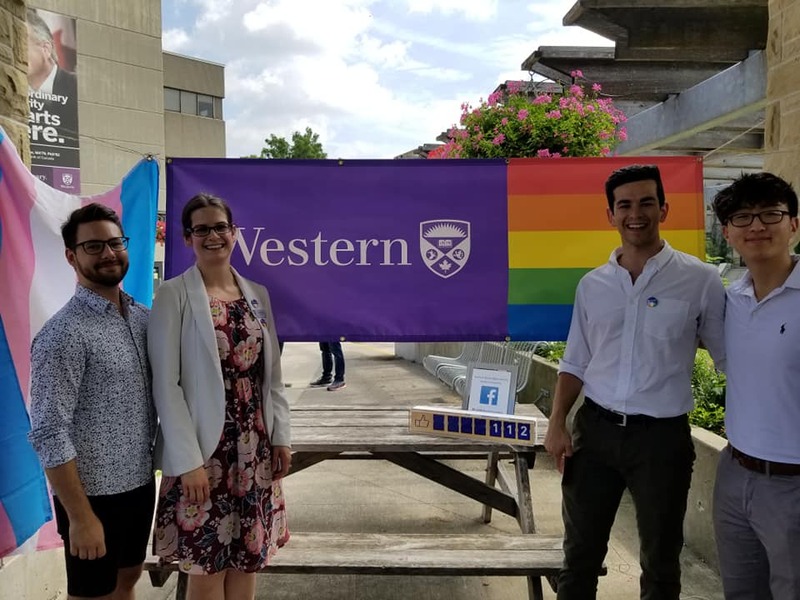 Show Your Pride (July 3 – July 16): pride flag moving around campus! 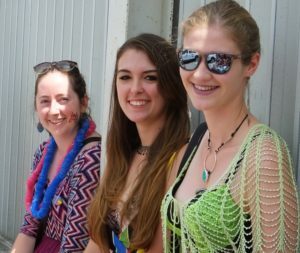 Starting July 9-13, it will be displayed at the Grad Club. Come take a photo with the flag! 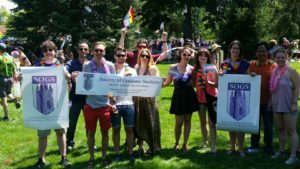 LGBTQIA+ Discussion Group (July 11): Engaging with Pride through History (2:00-3:00pm). 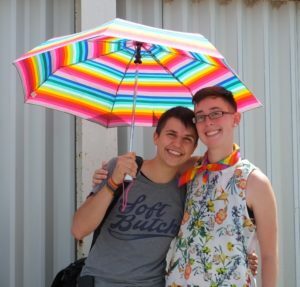 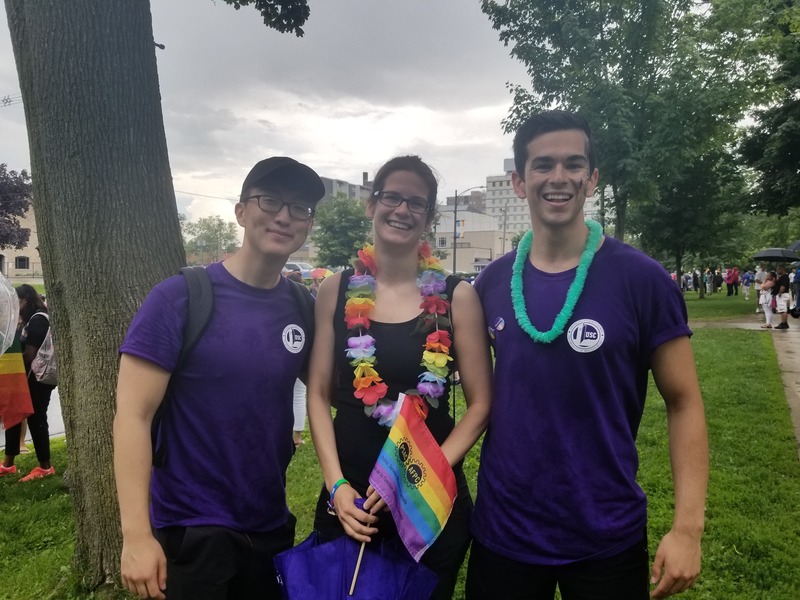 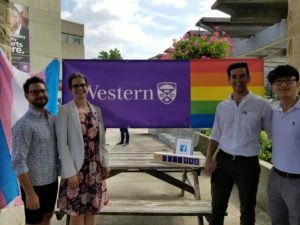 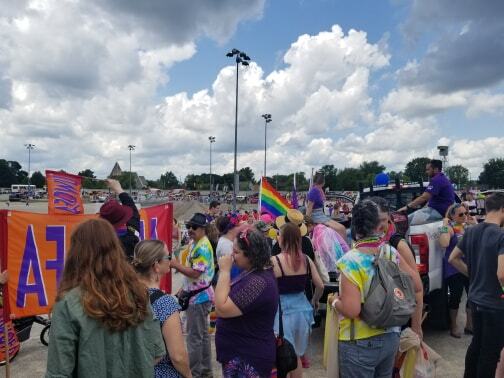 Out in the Sun with the Western Community (July 16): Pride Flag raising ceremony and free ice cream! 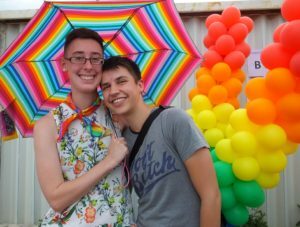 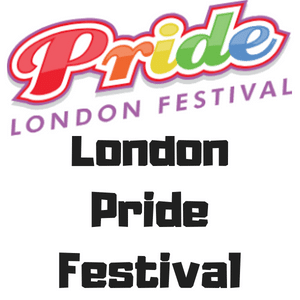 London’s Pride Festival (July 19-29) – want to share your LBGTQIA+ research at the SOGS Pride Parade booth? 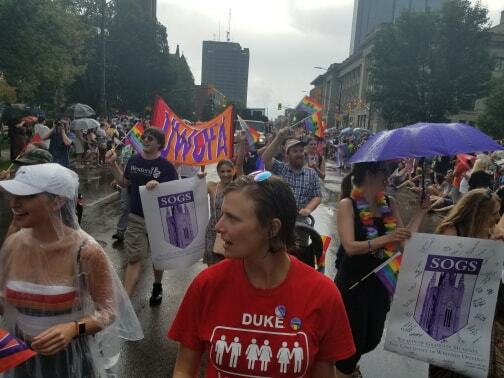 Contact pride@sogs.ca. 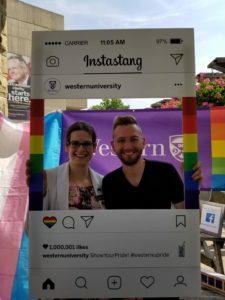 Stay tuned for more events on Campus during Western Pride Week! 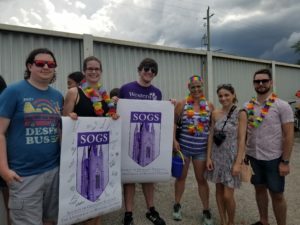 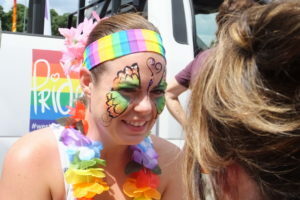 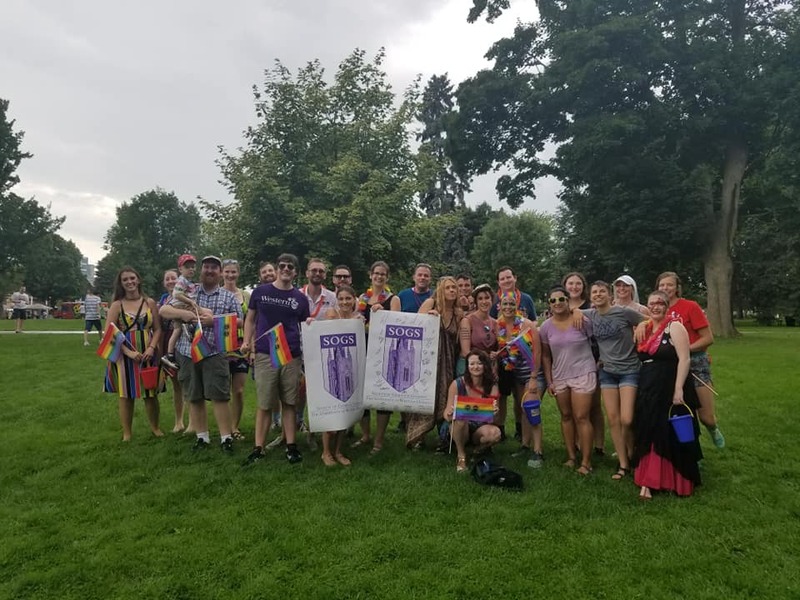 Western & London Pride Parade – want to march with SOGS? Contact pride@sogs.ca. Pride Social @ the Grad Club – On Thursday, June 29, join us at the Grad Club at 6:00pm to decorate rainbow sugar cookies. 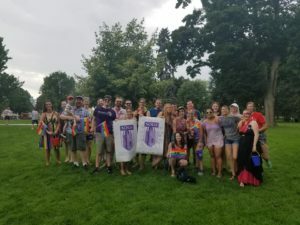 At 7:30pm, LGBTQ trivia will start. 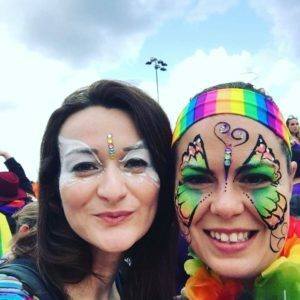 Prizes to be won! 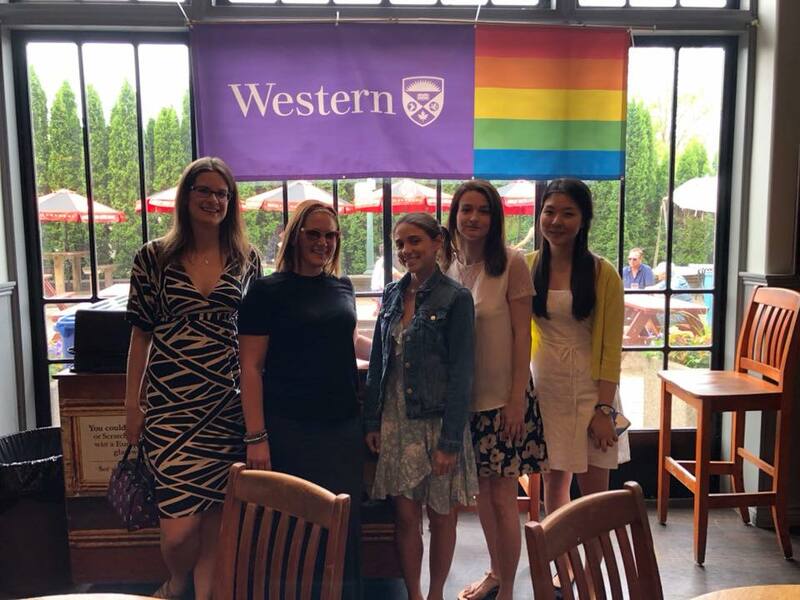 Visit the Western Pride Banner @ the Grad Club – From July 3 to July 7, the Western Pride Banner will be at the Grad Club. 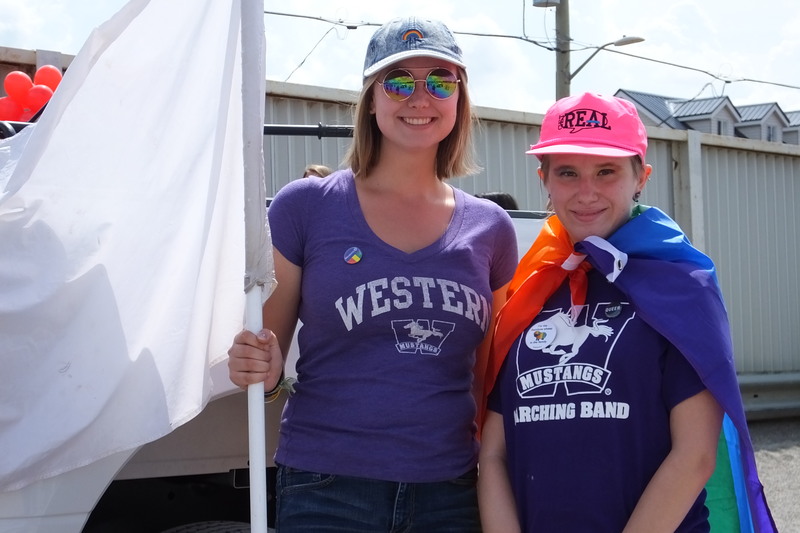 Come take a photo with it and show your #WesternUPride. Join the Facebook Event Page. 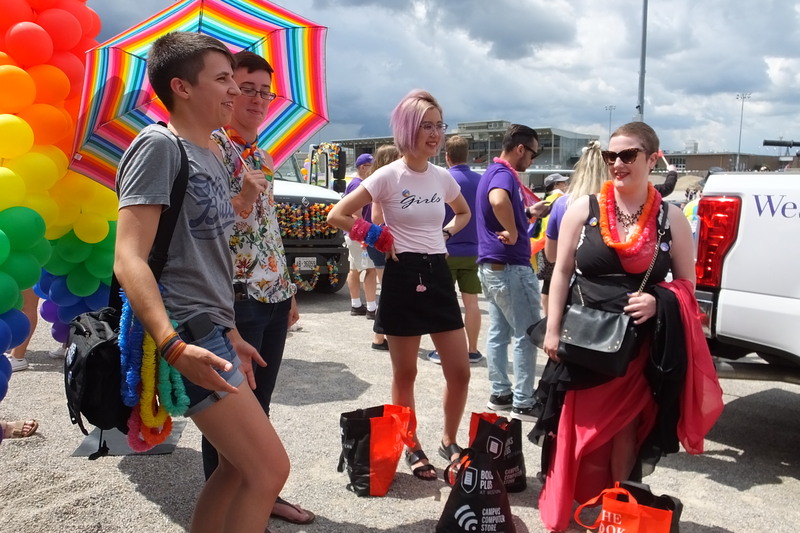 Our members are invited to share their LGBQT+ research and experience at the Outdoor Festival throughout the weekend: Friday, July 28: 6-11pm, Saturday, July 29: 11am-11pm, Sunday, July 30: 11am-6pm. Western’s Pride Banner is making its way around campus, travelling to eight locations, including the International Graduate Affairs Building Atrium and the Grad Club (July 3 – July 7). 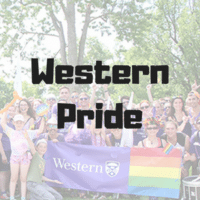 If you see the banner take a pic and share it with the world with the hashtag #westernupride. 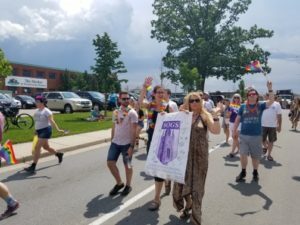 Help raise the Pride Flag on campus. 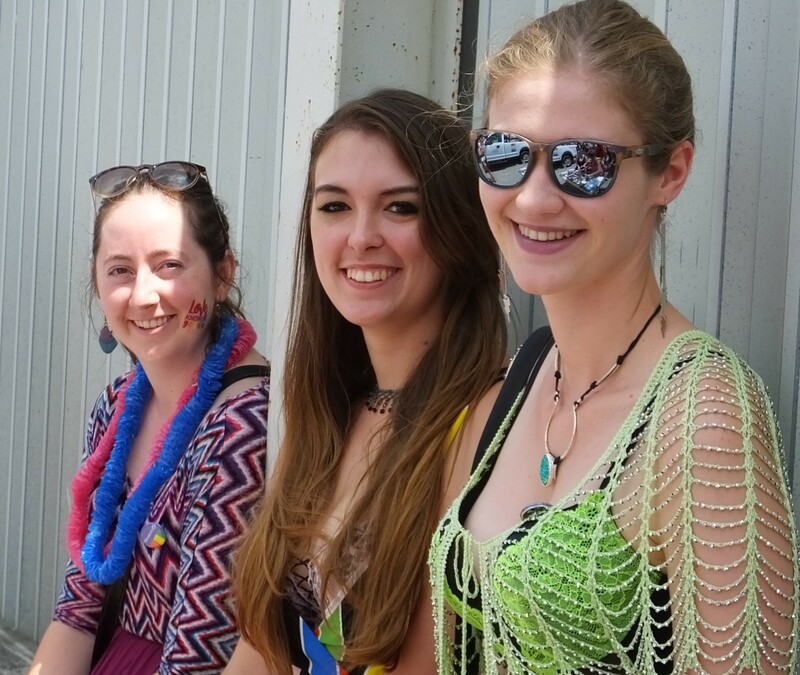 Plan to attend the “Out in the Sun” ceremony on the Concrete Beach on July 20 at 10:30 a.m. There will be a brief ceremony and refreshments. Everyone welcome. 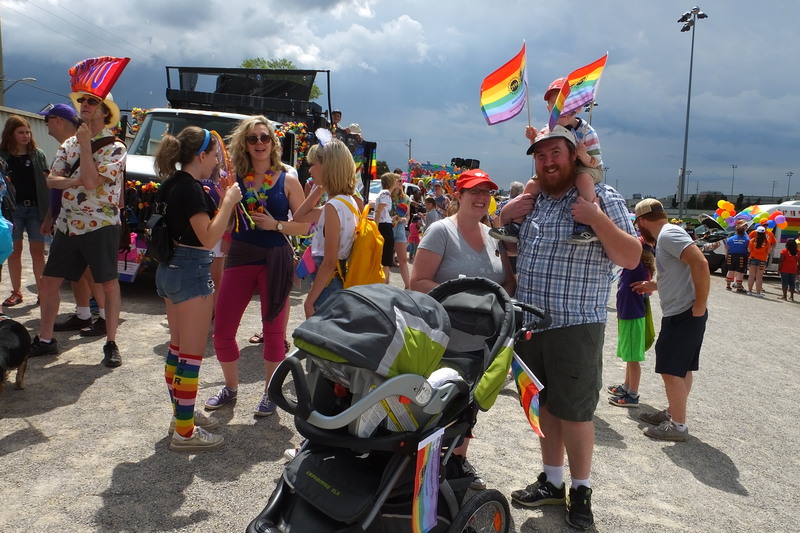 See the video of the SOGS Pride Commissioner’s remarks at the Pride raising ceremony. 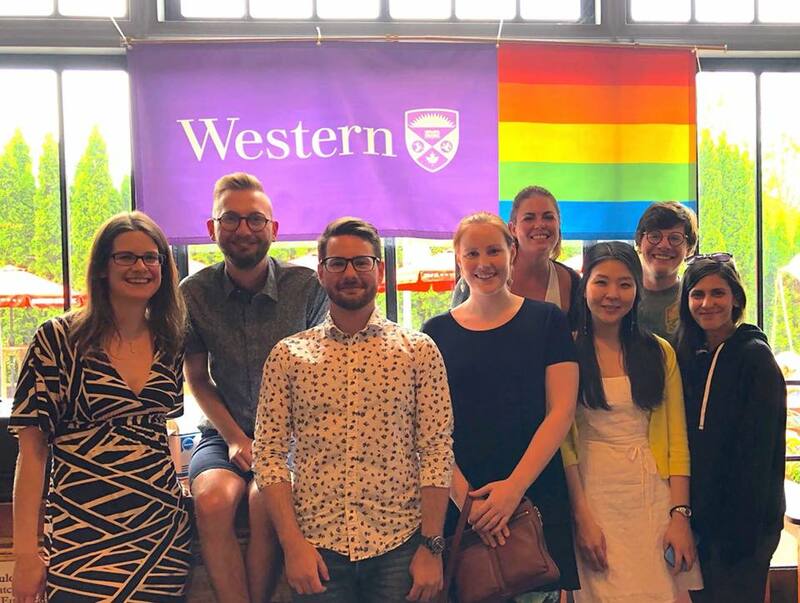 From July 20 – July 30, Alumni Hall will be illuminated in rainbow colours as a shout-out to Pride activities. 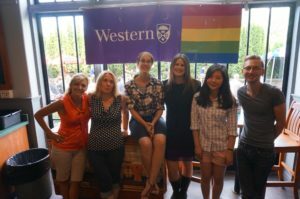 The SOGS booth at the Outdoor Festival is available to host Western LGBQT+ research and researchers. 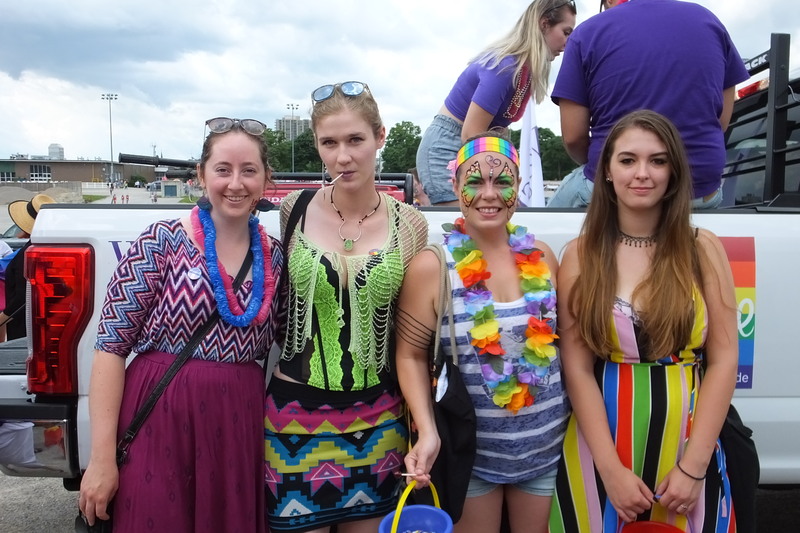 Help us paint London’s Pride Parade Route purple! Get your purple on and join Western community members in the 23rd London Pride Parade. 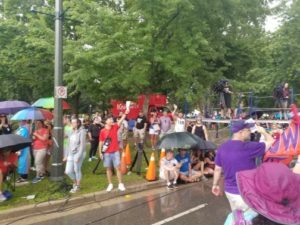 Meet in the Western Fair District Parking Lot (Off Rectory Street) on Sunday, July 30, 2017 (parade formation from 11:30 a.m. – 12:30 p.m). Parade starts at 12:30 p.m.